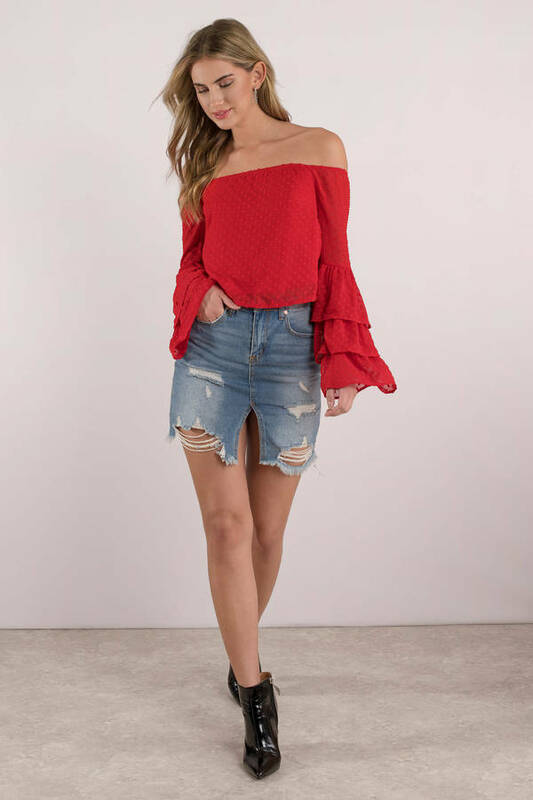 Check out Tobi's Spot On Ruffle Blouse Spotted: your new favorite top. 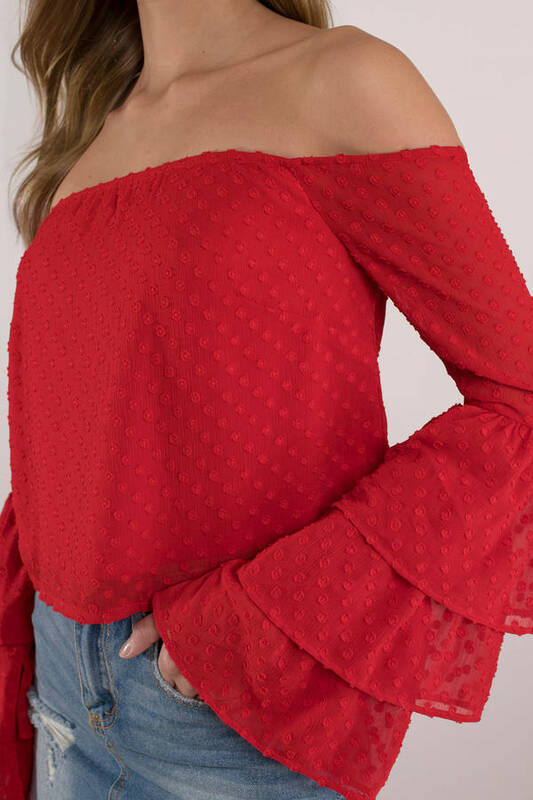 Embroidered with self color dots all over, the Red Spot On Ruffle Blouse is an off shoulder blouse in chiffon that's lined at the bodice, with sheer long sleeves finished with ruffles. 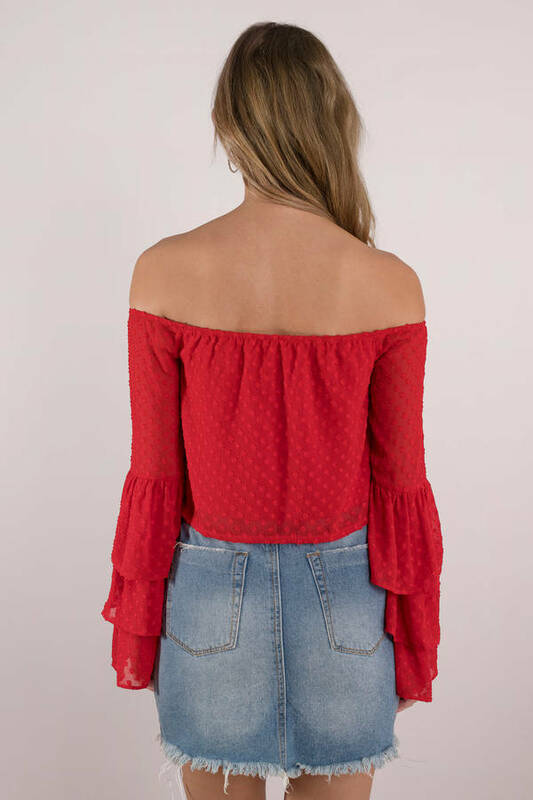 We love this dotty top with distressed denim. Spotted: your new favorite top. 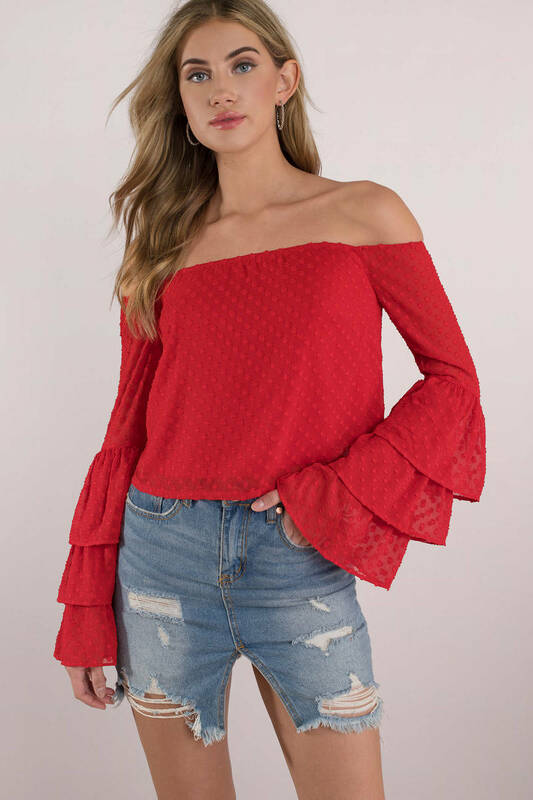 Embroidered with self color dots all over, the Red Spot On Ruffle Blouse is an off shoulder blouse in chiffon that's lined at the bodice, with sheer long sleeves finished with ruffles. We love this dotty top with distressed denim. Spotted: your new favorite top. 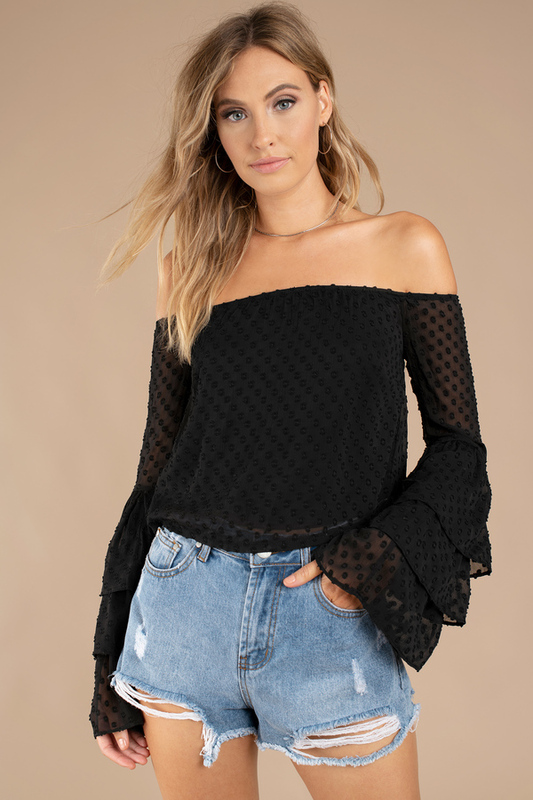 Embroidered with self color dots all over, the Black Spot On Ruffle Blouse is an off shoulder blouse in chiffon that's lined at the bodice, with sheer long sleeves finished with ruffles. 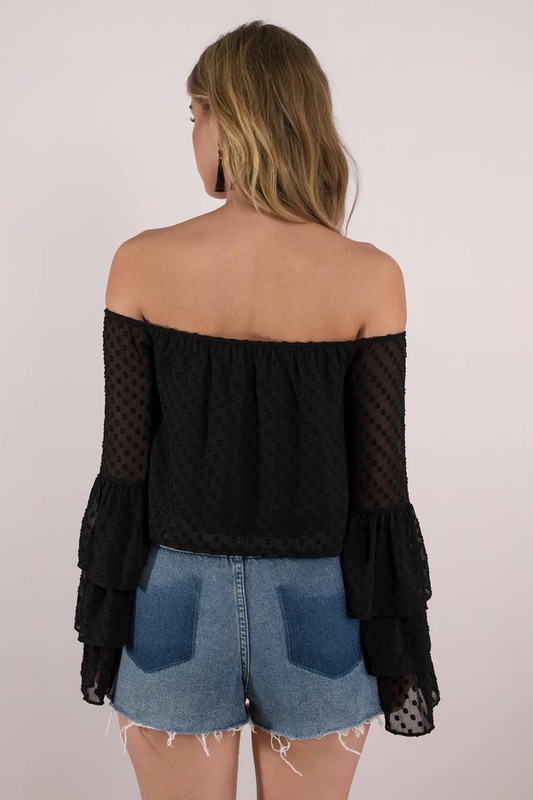 We love this dotty top with distressed denim.